Well this is turning into one artistic week. First, One Spark ending on Sunday. 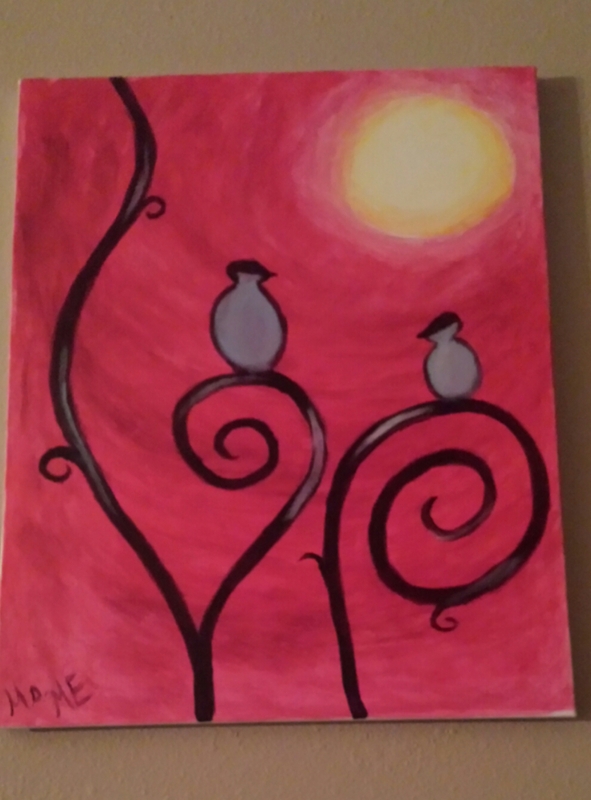 Tonight was Paint Nite. Our instructor Joy was a part of One Spark and her art is still showing on Adams Street in downtown Jacksonville (she’s living in a store front). 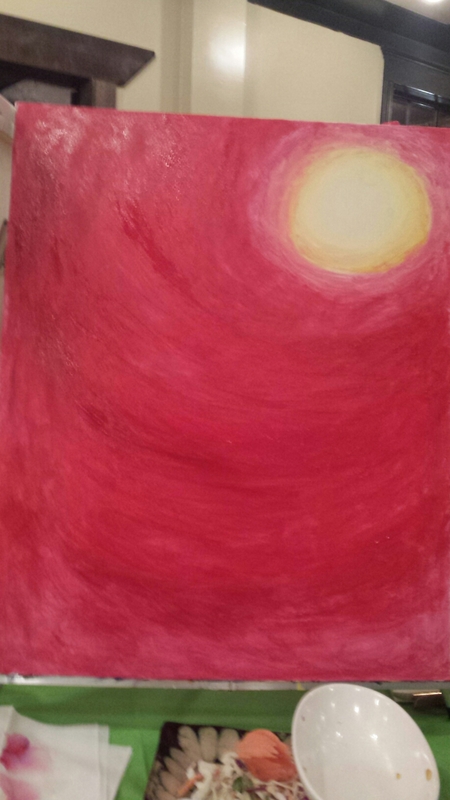 Still a little unhappy with the sun in the final version below. What do you think of my first painting in some years?